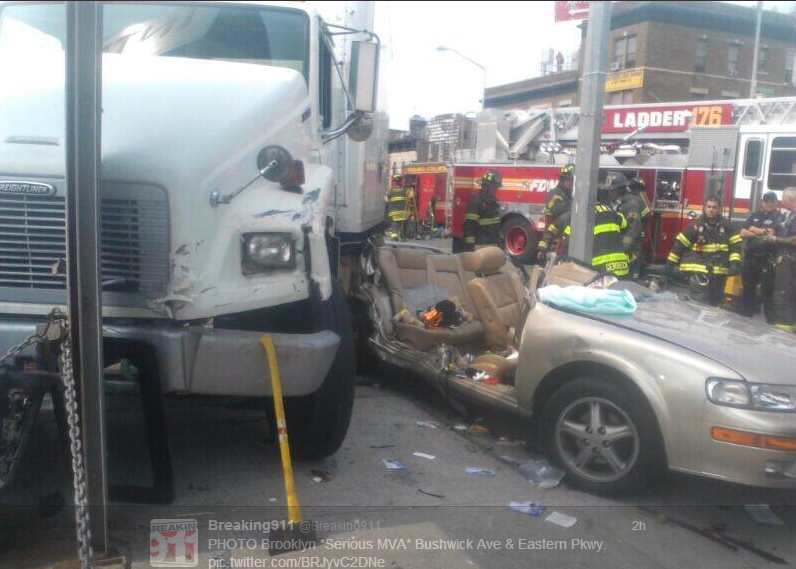 4 people suffered injury including one in serious condition after a truck hit a car driving in the same direction on Bushwick Ave in Brooklyn, New York. The shock was so violent that it propelled the car across the sidewalk into a light pole. The truck crashed into 3 cars for sale at a nearby auto dealer before it stopped. Firefighters had to cut the top of the car to rescue the driver.